]]> Thu, 18 Apr 2019 05:03:23 +0000 BlogLikes - Find Most Popular Blogs Ted Ignacio Upcoming Manga Added to the Store for Pre-order! - Week of Apr 16th http://animecornerstore.blogspot.com/2019/04/upcoming-manga-added-to-store-for-pre_18.html We've added another set of upcoming manga to the store site for pre-order! INSANIME Night Festival is on Kickstarter. The night event is in Los Angeles and is dedicated to anime. Currently, the event team has reached $2,851 out of their $20,000 goal with 3 days left remaining. For more details and some ticket perks, check out their Kickstarter page and official website. Here's a trailer. British multi-instrumentalist and composer Jacob Collier has won the PRS For Music Gold Award as part of the Jazz FM Awards 2019. He’ll be given the award at the event, which is taking place this year on 30th April at Shoreditch Town Hall. Taking place on International Jazz Day, the Jazz FM Awards 2019 will celebrate the best emerging new artists, contemporary icons and established stars from across the worlds of jazz, soul and blues, and host exclusive performances throughout the ceremony. Joining Beverley Knight to perform are blues legend Eric Bibb in duet with rising jazz vocalist Cherise Adams-Burnett, and tour de force South London collective Steam Down who are dual nominees in the categories of The Innovation Award and Live Experience of the Year Award. Bibb and Adams-Burnett have been nominated for Blues Act of the Year and Vocalist of the Year respectively. 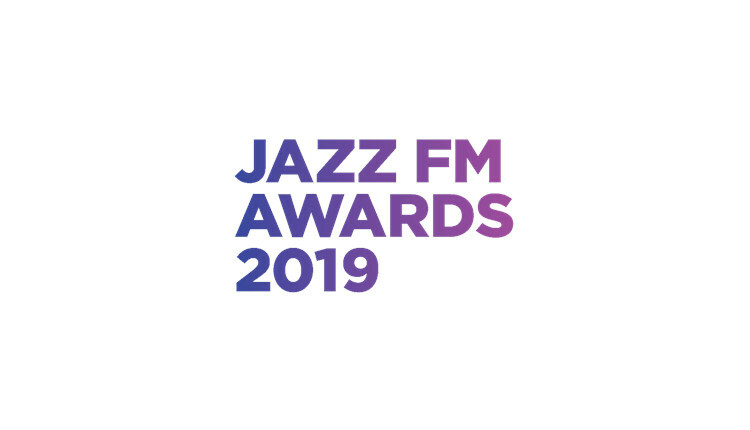 The Jazz FM Awards 2019 is a partnership between Jazz FM and Serious and is sponsored by PRS for Music, PPL, Shoreditch Town Hall, Mishcon de Reya, Lateralize, Cambridge Audio, British Airways, Arqiva, Oanda, RCS, Warsteiner, Savile Row Gin, Denbies, GHS Global Hospitality, and Yamaha UK. ]]> Thu, 18 Apr 2019 04:30:35 +0000 BlogLikes - Find Most Popular Blogs Station News Jazz Fm Forget Zestimates: Use DashCMA on your listing presentations http://feedproxy.google.com/~r/TheFutureOfRealEstateMarketing/~3/cAH7PyJgqD8/ Thu, 18 Apr 2019 04:12:39 +0000 BlogLikes - Find Most Popular Blogs Listings Marketing MLS & Associations Select Tech Reviews Technology Buyer Offer Carets Comparative Mark Comps Craig Rowe Crmls DashCMA Eppraisal Glvar Karen Abram Listing Price PFAR VCRDS Zestimate Honourable Mention: Hellboy http://taliesinttlg.blogspot.com/2019/04/honourable-mention-hellboy.html This is the 2019 reboot of Hellboy, directed by Neil Marshall, and staring David Harbour as the eponymous hero. 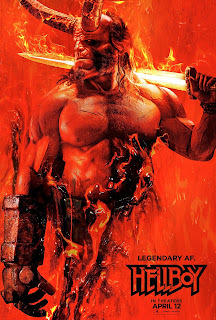 Now, we’ve looked at a Hellboy product before in the form of Hellboy Animated: Blood and Iron. The film starts in Mexico with Hellboy searching out Esteban Ruiz (Mario de la Rosa) a missing Bureau for Paranormal Research and Defense (BRPD) agent who disappeared after being sent to investigate a nest of vampires. Hellboy enters a place hosting a Luchador match and, on being called out, recognises the masked wrestler Camazotz as Ruiz. 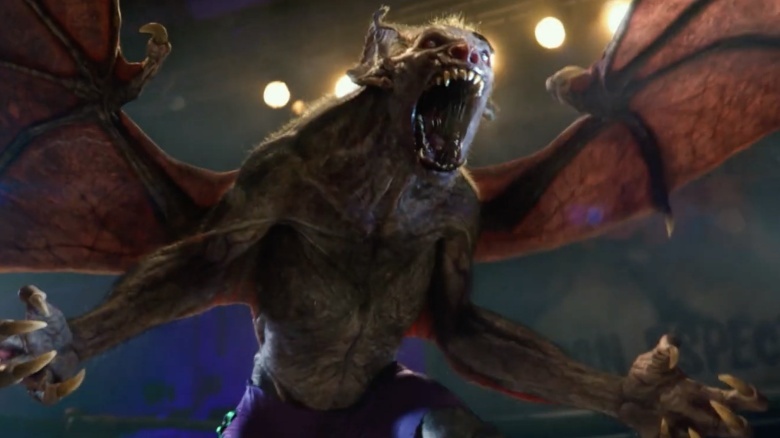 He is challenged to a match and – in the finest Santo tradition – as the match goes on, we realise that Camazotz is a vampire; revealing his strength at first, then fangs and eventually turning into a manbat. 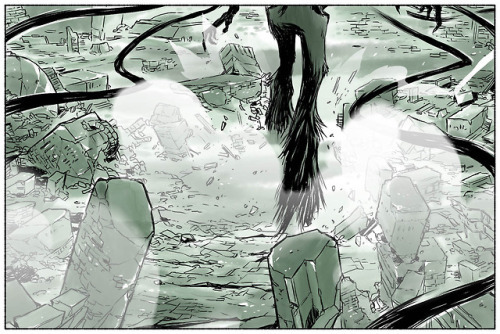 Eventually Hellboy throws him onto a ring post, staking him. Ruiz utters a prophecy before dying that will, of course, be relevant to the film moving forwards. bat form So, a fleeting visitation – as for the film itself. It was alright but lacked the charm of the original Del Toro directed vehicle. The filmmakers went for high gore and bad language (possibly to distinguish themselves from the earlier vehicle, or maybe because Deadpool did R rated with class and they wanted to emulate its success) and it didn’t gel – the language, for instance, felt forced and detracted from, rather than added to, the experience. There is an over-reliance on CGI but, you know what, it had big boots to fill and forgetting the earlier films it was ok.
April 18th, 2019: Girl are you a cartoonist because you're great and have no flaws and that's all I have to say. I have no further comment on you or your appearance. 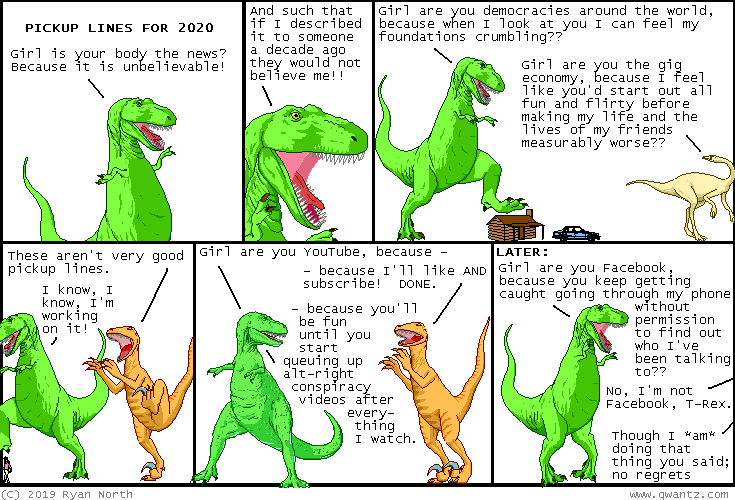 The banker said, "Yes, he certainly was trusted. And he will be tried as soon as we catch him." The post Thursday, April 18 Filming Locations for The Affair, Power, The Duece, & more! appeared first on On Location Vacations. The musical “Dear Evan Hansen” was a very pleasant surprise. I had no prior knowledge of this musical except what was described in the synopsis before attending the opening at the Dr. Phillips Center in Orlando. I was not sure that this musical was going to be one that I would enjoy. I was mistaken. Evan Hansen is a senior in high school who feels alone and not sure if he, as a person, really matters. Something that all of us at one time or another have struggled with. His mom, a single parent, is trying to make ends meet while attending school to better herself and yet still be cognizant of her son’s needs. She is concerned for her son’s mental health and has sought out professional help for him. His therapist assigns him the task of writing letters to himself each day to better understand his feelings, thus the Dear Evan Hansen note that Connor Murphy confiscates. Connor is also dealing with similar issues but his family can not come to terms with this. Connor turns to drugs and commits suicide with an overdose. This scenario sets up the many twists and turns of the musical with personal struggle, interpersonal relationships of students and family, and depression intermixed with humor and an acute understanding of the human condition. This sounds very depressing but it was not and the show is very relevant for all of us. As we entered the theater the stage resembled what you might see on a jumbled computer screen. Even the instrumentalists were concealed within the computer screen and yet in plain sight on a platform on the stage. This background was used throughout the performance and added depth and interest as the words on the screen reflected what we were watching and hearing from the performers. The only time this was not true was the last scene in the apple orchard. Props were minimal but effective. The use of a kitchen table and chairs, a bed, a laptop computer, and bookcases were used in several ways to suggest different settings all the while still using the backdrop of the computer screen. The performers were superb. Evan (Ben Levies Ross), Connor (Merrick Smith), Jared (Jared Goldsmith), Zoe (Maggie McKenna) and Alana (Phoebe Koyabe) all captured the essence of what high school students feel and face each and every day. Their singing was articulate and well done. The parents played by Jessica Phillips, Aaron Lazar and Christiane Noll captured the agonies of parenthood in dealing with the highs and lows of high school students trying to find themselves. Great news, The Dr. Phillips Center is offering a lottery for tickets to Dear Evan Hansen. Click The Dear Evan Hansen Digital Lottery Link to try your luck at $25 tickets now. Otherwise, you can purchase tickets on the Dr. Phillips Center website. I highly recommend this musical to all. It has a message for all ages. If you get a chance go see “Dear Evan Hansen”. *This review was written by Annette Allport. Thank you to Dr. Phillips Center for the tickets so we could provide our review. 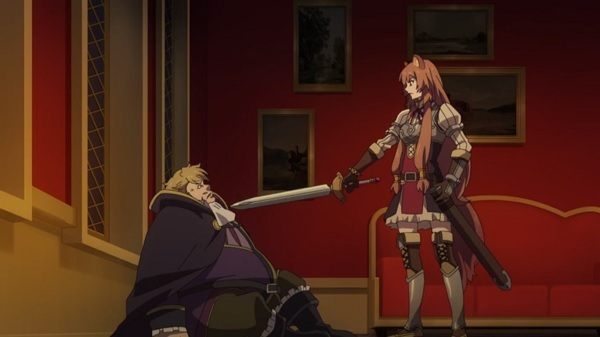 On this episode, Raphtalia defeats the noble. Later, she looks for her survivors in the dungeon. This plot was very dark because it's connected to Raphtallia's unpleasant past. Also, it seems they didn't skip any crucial details from the original written story again. Other than that, I can't wait to see another upcoming big monster battle coming up. Now what will happen next? I'll be looking forward to it as usual. Overall, interesting dark plot relating to Raphtallia. 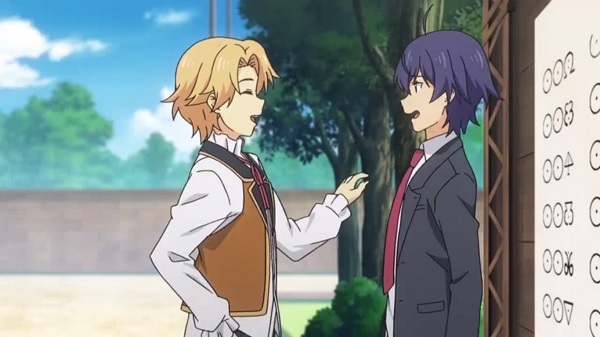 On this episode, Shin starts enrolling for the academy and takes exams. Meanwhile, he makes some friends and introduces his abilities to them. I'm beginning to love this anime. It was awesome to see our male lead react to every situation and even continue to surprise everyone around him. Also, the new friends are pretty cool. Other than that, it looks like Shin's challenges will be everything that isn't magic-related. Now what's going to be the next actual plot? I can't wait to find out. Overall, nice academy enrollment and some new characters introduced. How do the various voices of Superman over the years compare to each other? Ready for a ton more comics to be added to DC Universe this week? Does Ernie Hudson‘s character have a Green Lantern connection in Arrow? How does Paul Rudd react to the Ant-Man rear attack on Thanos theory? How many people watched Umbrella Academy around the world? All that and more in this edition of Superhero Bits. Watch this video that compares the various voice actors who have brought Superman to life over the decades. Avengers: Endgame broke the ticket pre-sales record in China and Atom Tickets’ pre-sale tickets records too. Icicle (Kyle Secor) returns to continue his devious plan in “Snow Pack,” the next episode of The CW’s The Flash. DC Universe is adding 10,000 comics from the mid-1980s to the early 2010s to their digital comic book library. Get a little Avengers: Endgame fix by way of this cross-promotional commercial for the movie and Hertz. Netflix revealed their global viewing numbers for The Umbrella Academy, and it’s one of their biggest shows. Marvel Studios shared a new poster for this month’s Avengers: Endgame designed by artist Tracie Ching. The first photos from Ernie Hudson‘s guest appearance on Arrow may hint at a Green Lantern connection. The post Superhero Bits: New ‘Avengers: Endgame’ Posters, 100% Soft’s Avengers Emojis & More appeared first on /Film.